Community – Judds Bros Construction Co. Since the beginning, Judds Bros. Construction Co. has developed strong ties to our community. Judds Bros. Construction Co. is the proud sponsor of an American Legion Baseball team. 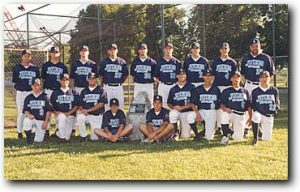 You can visit the team's website at Judds Legion Baseball. We are proud sponsors of the University of Nebraska – Lincoln Athletics Department. In the past, Judds Bros. Construction Co. has developed a close working relationship with the University of Nebraska-Lincoln’s Construction Management Department to help improve the education and awareness of students and graduates.